Are Your Air Ducts a Cold and Flu Risk? How to Fight Back! Winters in Canada bring more than just cold temperatures and snowfall. All that icy, dry air also serves as a conduit for the annual event we all dread—the start of cold and flu season. And so, in our efforts to stave off what feels inevitable, we dutifully line up at our local health clinic to get the flu shot. We practice savvy avoidance tactics by giving sneezing co-workers the evil eye and using lots of hand sanitizer. We swallow more vitamins and guzzle electrolyte water drinks. And at the end of each day, we head inside our homes, convinced that at least at home we are safe from the ever-circulating cold and flu germs. Unfortunately, this is a myth, and one long overdue for clearing up. The truth is, your own home can quickly become a rich repository of those very same airborne cold and flu germs! And the moment someone in your family develops a cold or the flu, the danger in your home just increases. In this article, learn where cold and flu germs may be hiding inside your house and what to do to get rid of them without delay. We all know how to avoid coming down with a cold or the flu. Don’t hang out with a sick person. Cover your mouth and nose when you have to cough or sneeze. Discard tissues after wiping your nose. Wash your hands constantly or use hand sanitizer. Eat well and rest often. Disinfect anything you or anyone sick may have touched. But what these time-honoured tips fail to factor in is how many active cold and flu germs reach you via air. For example, it doesn’t matter how much you disinfect the sink handles if a nearby sneeze launches a volley of airborne germs in your direction! In the same way, once viral, bacterial, and/or fungal matter enters your air duct system at home or at work, it gains the ability to reach you in new and creative ways, wearing away at your immune system and slowly eroding your body’s defense mechanisms. Finally, you succumb to the onslaught, all the while wondering why all your best cold and flu avoidance strategies failed you. The truth is, during cold and flu season, it just isn’t sufficient to disinfect door and faucet handles, light switches, counter surfaces, and drinking cups. This is particularly the case in the winter, when use of heat is at an all-time high and all that drying heat is impacting your body’s ability to fight off pathogens even further by robbing your respiratory passages of the moist mucus needed to trap germs and transport them safely out of the body. During the winter season, along with that next blast of drying heat that comes out through your air ducts, you are likely getting a potent cocktail of viral and bacterial germs, and it is only a matter of time before your body succumbs. To make matters even more serious, according to the Common Cold Center of Cardiff University, active viral germs can live for up to 48 hours in any warm, moist environment. And guess where the largest warm, moist environment in the average home or workplace is? If you guessed the air ducts, you would be correct. A warm, dark, enclosed microclimate exists inside those long, narrow tunnels through which temperature-controlled air passes many times each day. Over time, dust, pollen, dander, debris, dirt, bacteria, fungi, and viral matter builds up, each entrapped by the warm, moist ecosystem inside your air ducts. 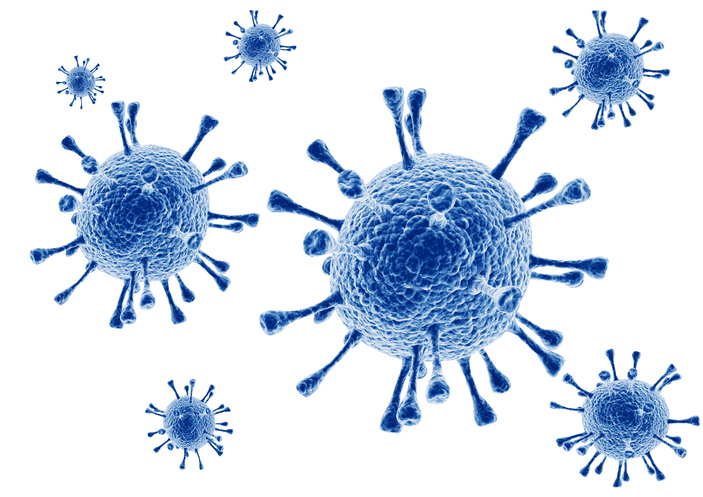 Any new cold or flu germ that enters the air ducts encounters the perfect place to thrive, and has up to 48 hours in an active state to recirculate through your indoor air and infect you and your loved ones or office mates. As many drawbacks as there may be to our dependency on indoor systems of recirculated, temperature-controlled air, there are even more benefits. After all, when was the last time you met someone who adored sweating through muggy Canadian summers without air conditioning or shivering through the dark days of winter without heat? Luckily, today’s technology gives us plenty of options for maintaining the quality and purity of our indoor air without having to sacrifice air conditioning or heating. With the help of indoor air quality (IAQ) cleaners, filters, sanitizers, purifiers, and ventilators, we can have our temperature control and stay healthy too. A professional indoor air duct cleaning can quickly restore your entire air duct system to its original squeaky clean, sanitized state. A powerful enclosed vacuum system removes every speck of troublesome matter and then a sanitizing agent deodorizes and purifies the ducts themselves. An ultraviolet air purifier uses ultraviolet light to attract and neutralize incoming airborne toxins and pathogens before they ever have the chance to enter your air duct system and begin to recirculate. HEPA (high efficiency particulate air) filters were first developed for use in radioactive matter laboratories during World War II. Today, they are still the gold standard with their ability to entrap and filter out particulate matter as small as 1/100th of a single human hair! Heat recovery ventilators create separate pathways for outgoing stale air and incoming fresh air, ensuring no pathogens will be sucked back into your indoor air system. Here at Clean Air Solutions Hamilton, our goal is to provide you with a range of indoor air quality helps to fit every need and budget. Give us a call to learn more at 905-544-2470.